I told you niggers it was going to happen. We have Christian white nationalist Kris Kobach on one hand running for governor in Kansas. We also have aspiring Senator Donald Trump Jr. (DTJ from hereon out, not DJT…..get it?) getting the invite to beta test their inevitable 2024 GOP Presidential ticket, the White People’s Ticket, but in 2018! This is a world historical moment faggots. I’m serious. 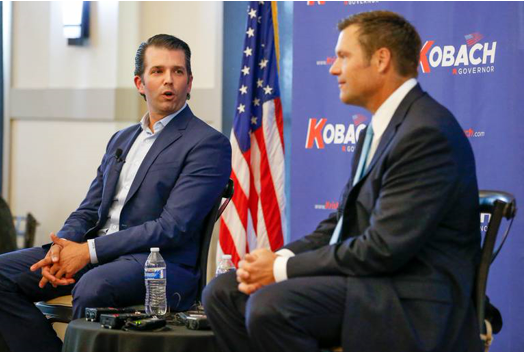 DTJ just campaigned with Kobach in Wichita this last week.